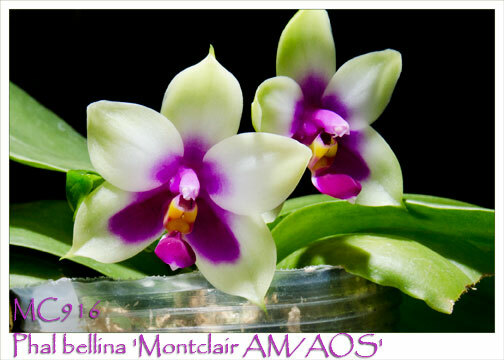 Just awarded a well-deserved AM/AOS to our client, Mr. Carlos Fighetti, past President of the American Orchid Society ! 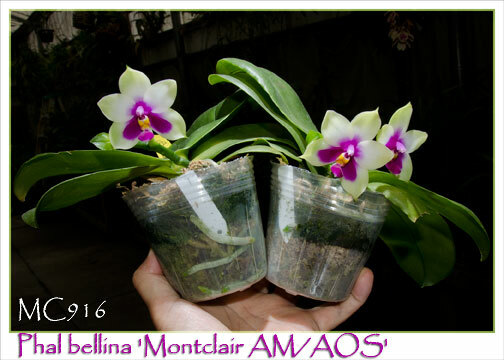 An outstanding clone of this awesomely fragrant species, formerly known as the Borneo form of Phal. violacea, indigenous to Malaysia. Its fragrance is best described as a delightful combination of freesia, lily-of-the-valley, rose, touch of velvet and lemon. Full flat round greenish-white flowers with cardboard substance, exhibiting a dramatic suffusion of purple on the inner half of the lateral sepals. Flowers can be produced sequentially on each spike for several years while it continues to produce additional spikes. This is probably the most fragrant of all Phalaenopsis species and, as such, is a perennial favorite, always in high demand when available. Heavily used by hybridizers to impart its heavy substance, unique coloration and fragrance to its progeny. Ideal for small space and under lights growing. Very simply – a Must Have ! 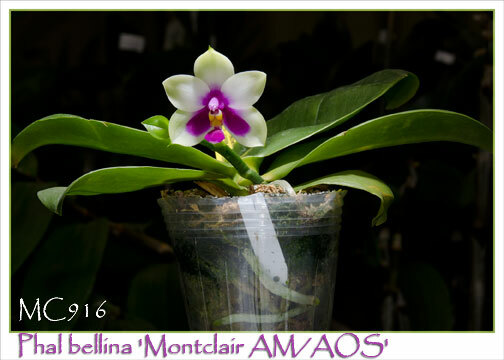 Montclair AM/AOS , Note : only 10 Stem Prop Available.